"It’s like Groundhog Day"… Residents on the Aran Islands could be forgiven a touch of dark humour this week, after it emerged that the contract to operate daily flights to and from the mainland was being terminated. 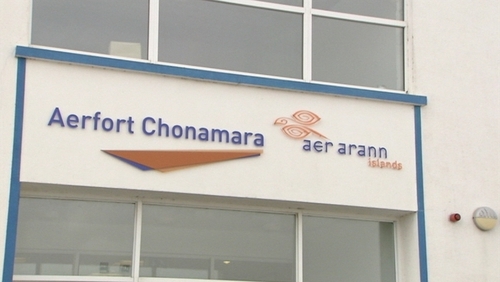 In a dispute over the terms of its four-year contract with the Government, Aer Arann served notice that it will end the deal in early December. It is not the first time that the air link between the islands and Conamara has been the subject of discussion. In fact, in recent years, it has almost become an annual occurrence. Ferry and air travel to 19 islands is subsidised by the Department of Culture, Heritage and the Gaeltacht. The Public Service Obligation (PSO) subvention is paid to different operators, to ensure there are regular crossings to and from the islands for residents. Figures on the Department’s website show that the total PSO cost comes to over €5.95 million each year. Given the seasonal nature of tourism to the islands, the subsidy ensures that islanders can access the mainland all year round. Or at least, that is what is intended. The row between the Department and Aer Arann centres on an "adjustment" to the PSO payments made to the company, in the event it operates additional "non PSO" flights. The service provider contends this makes the business unviable, the Department maintains the contract clearly set out these terms. Aer Arann is paid a total of €1.85 million per annum to operate daily flights to Inis Mór, Inis Meann and Inis Oírr. The Government funding it receives also covers the use of the Aer Arann owned airport at Na Mine in Conamara, as well as the costs associated with the upkeep of the airstrips on the islands. As part of the contract it signed in late 2016, the company operates around 3,500 PSO flights each year. If it puts on additional services to cater for extra demand, the Department adjusts the subvention downwards by €483 each time. Because of this, there has been a reduction in the number of flights to the islands each week. There is less choice for residents and the service is not as responsive to the everyday ebb and flow of passengers as it once was. Aer Arann is obliged to serve six months notice of its intention to terminate the contract and that is what it did this week. From 6 December, it will no longer operate the PSO contract between Conamara and the Aran Islands. It is the latest twist in the ongoing saga surrounding PSO services to the Aran Islands. The soon to be terminated contract was signed in December 2016, after the Department had to abandon an earlier tender process. That happened after a helicopter company got the nod to run the service. But islanders were opposed to the nature of the service and the proposals to use Galway Airport as the mainland arrival and departure point. It subsequently emerged that the Government had no clarity as to whether Galway Airport would even be available as an aviation facility, despite the fact that it signalled its intention to offer a four-year contract to Executive Helicopters. When the tender was re-advertised in April 2016, it was stipulated that the service would have to operate from Na Mine airport, near Indreabhan. Following lengthy negotiations, Aer Arann, was formally given the contract in December 2016. Islanders had hoped the four-year agreement would give them some respite from their ongoing campaign to safeguard air services. Now, they find themselves repeating calls for consultation and seeking fresh assurances that the service will put their social, economic, educational and recreational needs to the fore. Residents say the tender process has to take account of these requirements. As well as carrying passengers, the air link is used for postal deliveries to and from the three islands. It is a central cog in the day-to-day life of the hundreds of people residing offshore. Island representatives will meet the Minister of State with responsibility for the Islands, Joe McHugh, in Na Forbacha on Monday. Both sides have been here before. The Minister was behind the desk when the helicopter tender process unravelled in 2015. Islanders have their arguments honed and finessed, following years of campaigning about the air and ferry services. In 2012 they highlighted the important role flights played in ensuring timely medical treatment and healthcare provision. In 2013 they emphasised the economic and social lifeline air services provided. In 2015 they united in opposition to helicopter flights and in 2016 made similar calls for their needs to be factored in to the tender process. All those arguments look set to be reprised in the coming weeks.